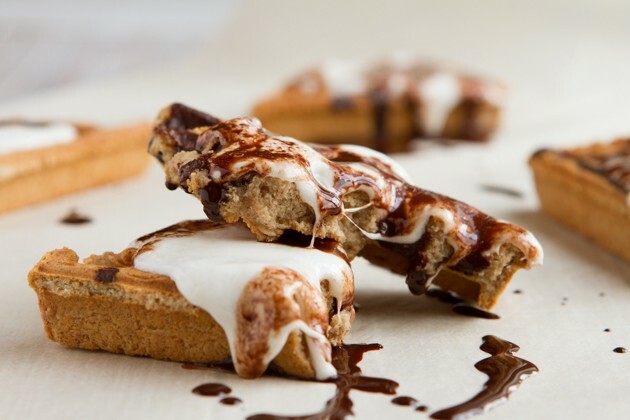 Crisp sugar-free graham cracker waffles topped with sticky marshmallows drizzled with dark chocolate sauce and boosted with Genuine Health fermented vegan proteins+. A little treat for you to enjoy with your friends and family this holiday season. 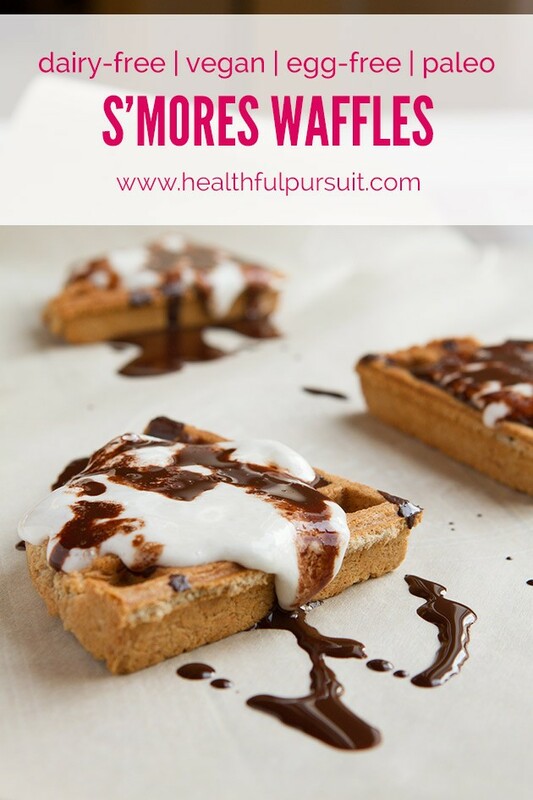 These s’mores waffles aren’t extremely low-carb, although the waffle base is, it’s extremely healthier than a classic s’mores recipe, and it comes pre-melted and ready to enjoy! Serve these vegan waffles as a dessert or late-night treat. I added Genuine Health fermented vegan proteins+ to the graham cracker waffle dough because… why not? Adding fermented protein to this recipe rounds everything really nicely, making this treat softer on our digestion and blood sugar, but about making small shifts and changes to your favorites to make them work for you and your body. 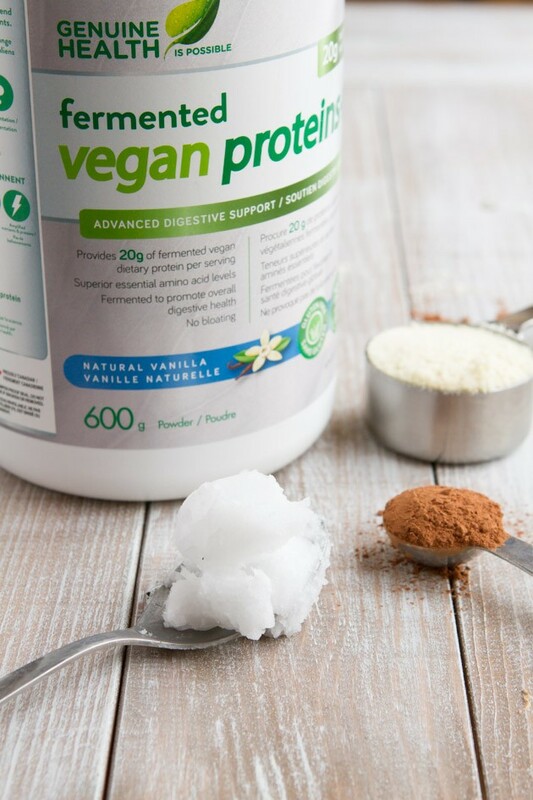 The addition of Genuine Health fermented vegan proteins+ helps us do just that in this recipe. If you want to keep it wholesome, remove the sugary marshmallows and go for the sugar-free chocolate sauce and protein-packed waffles. A recipe like this could easily be served for breakfast for the whole family on New Year’s Day. 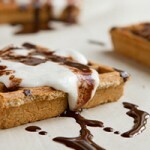 Crisp sugar-free graham cracker waffles topped with sticky marshmallows drizzled with dark chocolate sauce. Set your waffle iron on the counter and set to medium heat. Add dry ingredients to a small bowl, set aside. Add wet ingredients to a small bowl. Add wet to dry and combine with a spoon until incorporated. Transfer the dough, it will be quite thick, to the preheated waffle iron. Cover with the lid and cook until the waffle iron beeps. Once complete, transfer to a cooling rack and break into quarter sections. Meanwhile, if using marshmallows, add to a saucepan with coconut oil and melt over medium-low heat, stirring often. Once complete, transfer melted marshmallow to the tops of your waffle pieces. If making your own marshmallows, do this now. You can go all the way to step number 5. Once the fluff is ready for the pan, transfer it instead to the tops of your waffle pieces. Combine Chocolate Sauce ingredients in a small bowl and drizzle over top. I didn’t add sweetener because it’s sitting overtop of marshmallow, so should be totally okay the way it is. 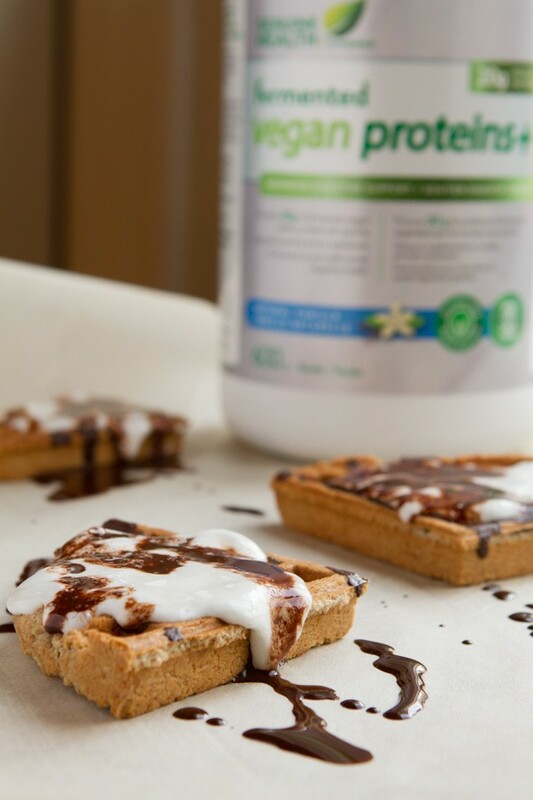 Vegan: to make vegan, use the flax egg option as listed in the recipe and use vegan marshmallows. 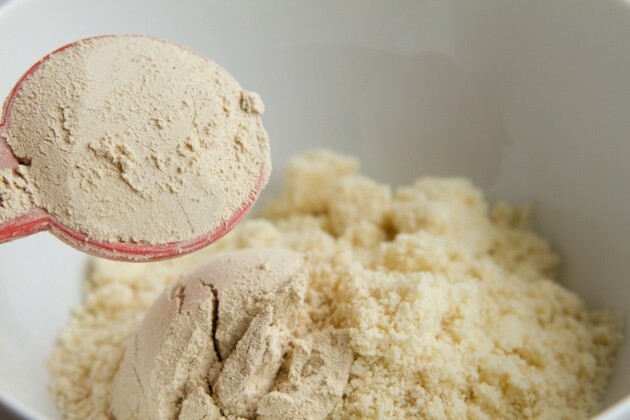 Paleo: to make paleo, remove the Genuine Health protein powder. No need to replace this ingredient. 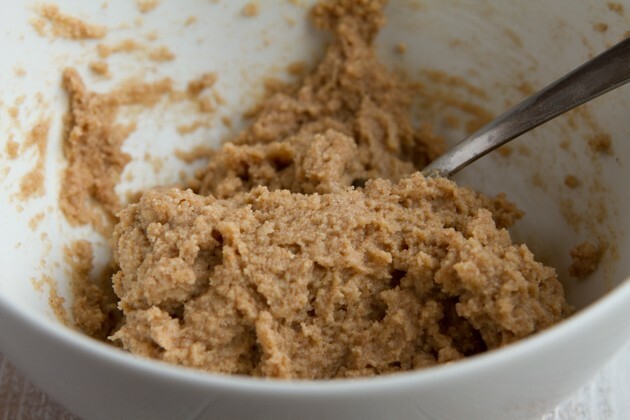 Egg-free: use the flax egg option as listed in the recipe. Sugar-free: without the marshmallows, this recipe is sugar-free. Genuine Health: if you don't have genuine health protein powder, or want to make this entirely grain-free, you could use this waffle recipe instead. And, add a bit of stevia and cinnamon. 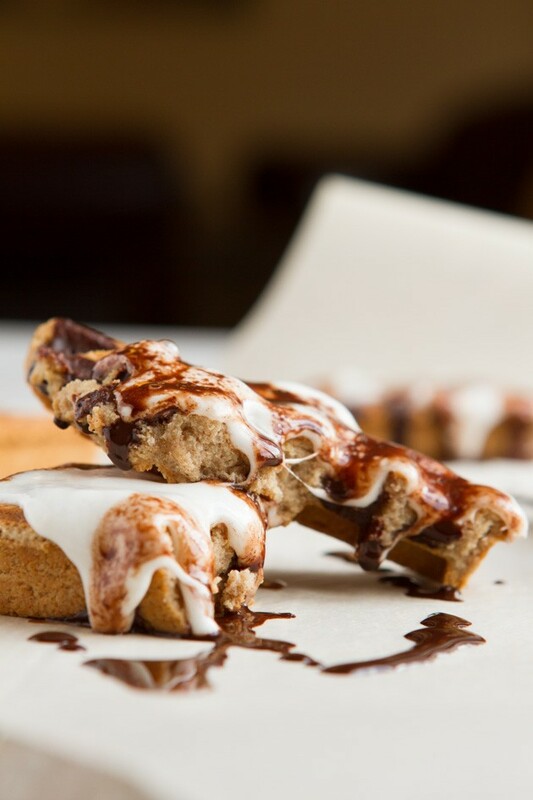 As the marshmallows set, they’ll stick to the waffles and turn into the most glorious treat you’ve had all holiday long. Begin by adding dry ingredients to a bowl, including your Genuine Health fermented proteins+. The dough should look like this when complete. I know, it should be “waffle batter” but we’re making cookies in our waffle iron here, so “batter” is absolutely relevant here.